BETTING markets suggest one thing, but trainer Kevin Pizzuto believes in another as the countdown to Tuesday’s New Zealand Cup continues. With Pizzuto’s stable star Tiger Tara drawing 13 in the rich handicap, TAB loosened the stallion’s odds from $3.70 to $7. The son of Bettors Delight was the pre-draw favourite, with quality mare Dream About Me moving to the head of affairs at $3.20 after drawing five for co-trainers Mark Purdon and Natalie Rasmussen. Tiger Tara’s quote places him on the fourth line of betting. Despite the draw and wagering trends, Pizzuto remains positive Tiger Tara is the one to beat in the Grand Circuit event. “I can’t fault him, he is in perfect order,” Pizzuto said. “He travelled brilliantly as he always does given he’s an old hand at it now, has eaten up and looks a treat. “He’ll have a good hit out tomorrow and I will keep him at peak until the race. 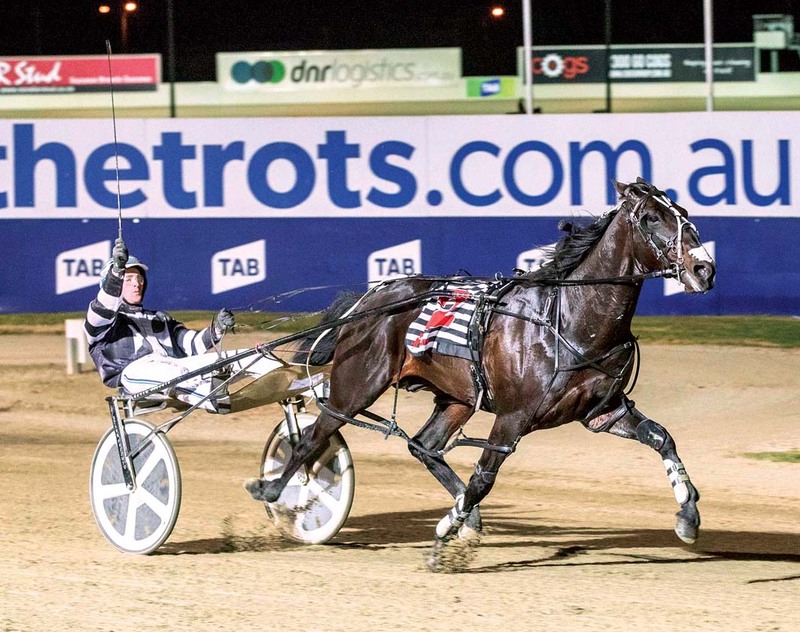 Tiger Tara will remain on the Shaky Isles for next Friday’s Free-For-All before returning to Sydney in preparation for the Inter Dominion. Heats of the time honoured Championship are scheduled to begin at Tabcorp Park Melton on December 1.